If you like high-quality products and personalized service, Bevins’ Door LLC is the place to come for your garage door needs. Our family-owned and operated business is aware of how repeat business comes: by providing a memorable purchasing experience. That is exactly what we have provided at Bevins’ Door LLC for more than 25 years now. 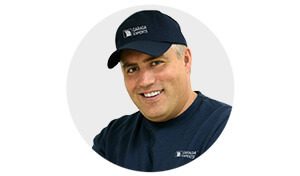 We supply nothing less than the best garage door brand on the market: Garaga! With their wide range of models and colors, you will find the perfect garage door to enhance your home’s design. Visit now our image gallery to discover over 130 different door choices. Our experienced and professional team will be glad to assist you in choosing the right garage door in steel or aluminum. We can handle various projects, whether residential or commercial. Complete our quotation form online today! You are closer to your new garage door than you think. Choose the right garage door opener - LiftMaster! Your garage door is the biggest moving component of your home. For this reason, you garage door opener has to perform year after year. For a top-performing motor and a reliable, safely-operating system, we provide the door opener built to last: LiftMaster. Even after working with this motor over many years, its ultra-quiet operation still impresses us. Manufactured by the Chamberlain Group, safety is their main goal. By choosing exclusively top-quality components, they have created the most reliable and safest motor in its category. See our complete line in our door opener section. Our various models can be used for residential and commercial applications. Connecting cables and high-tension springs can be dangerous. We firmly recommend you get this done by an expert. At Bevins’ Door LLC, our knowledgeable technicians will be pleased to ensure you receive the safest garage door installation or repair. We offer a 24-hour service. Furthermore, we will not only fix the problem, we will also verify your entire system and make recommendations to improve its performance. Our well-trained technicians know how to safely repair or service your garage door, whatever the make or model. Our family business has proudly served Northern and Central Vermont and Eastern New Hampshire since 1985. We look forward to working with you soon. VT: St. Albans, Burlington, Williston, Stowe, Barre, Montpelier, St. Johnsbury, White River Junction.